SERVING THE AREA FOR 25 YEARS! Family owned and operated, this adorable pizza shop will not disappoint you. Bring friends, spouses, significant others and family to enjoy great food at affordable prices. 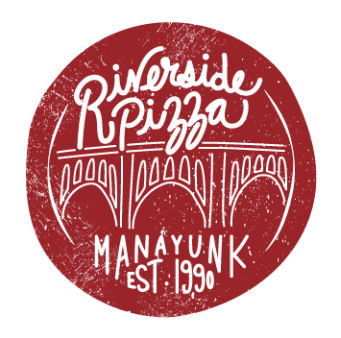 Located on the hip Main Street and surrounded by great nightlife, use Riverside Pizza as your go-to place for delicious, right for the money food that hits the spot. Use coupon RIVERSIDE10 when ordering online at checkout and save 10% off your first online order.